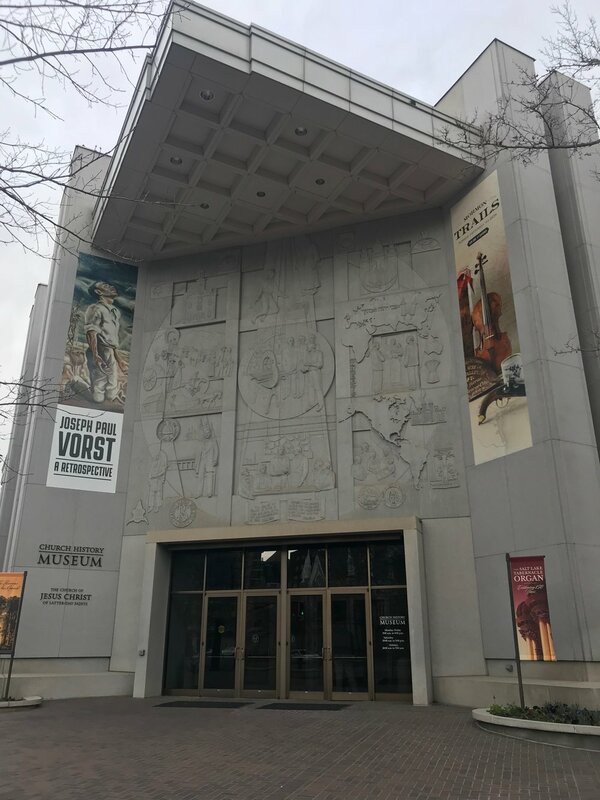 In this first interview of our newest series, we speak with Laura Hurtado, Global Acquisitions Curator of the Church History Museum in Salt Lake City. We discuss the recent call for entries to the 11th International LDS Art Competition, to be exhibited next year. We also touch on some of the details behind the jurying process, the acquisitions process, and what goes into a curated exhibit in the Museum. For more information on the 11th International Art Competition, Click Here. In our new series, we hope to speak with those artists, collectors, scholars and curators at the center of Mormon Visual Culture, both today and in the future. If there is someone you think we should interview, in this series. Please reach out to us by commenting below. A conversation with sculptor and painter Dennis Smith, Co-Founder of the Mormon Art & Belief Movement, whose monumental works depicting children, families, and historical figures can be found throughout Europe, the US and at significant Church site. Late Christmas Eve (2017) by Dennis Smith. 16 x 20 in. Oil on Panel. In Her Mother's Footsteps by Dennis Smith. Bronze. This episode marks a new chapter in Mormon Visual Culture. As we close 2017 and our celebration of the 50th anniversary of the Gospel Vision of the Arts, we turn our focus to other critical aspects of the LDS art community and culture. In this extended episode we sit down with Richard Oman, longtime curator at the Church Museum of History and Art. This discussion is wide ranging and dives into the question of the role of art in the Church and the role of the Church in art. A long-anticipated masterclass from Dr. Vern Swanson, author, museum director, educator, etc. sits down with us to discuss the trajectory of LDS art from his personal experience dating from 1965 until now. He discusses several important paintings in the history or LDS art up until work that is being done today and he shares several insightful stories of where we have come from as an arts community. Nativity (2010) by Brian Kershisnik. 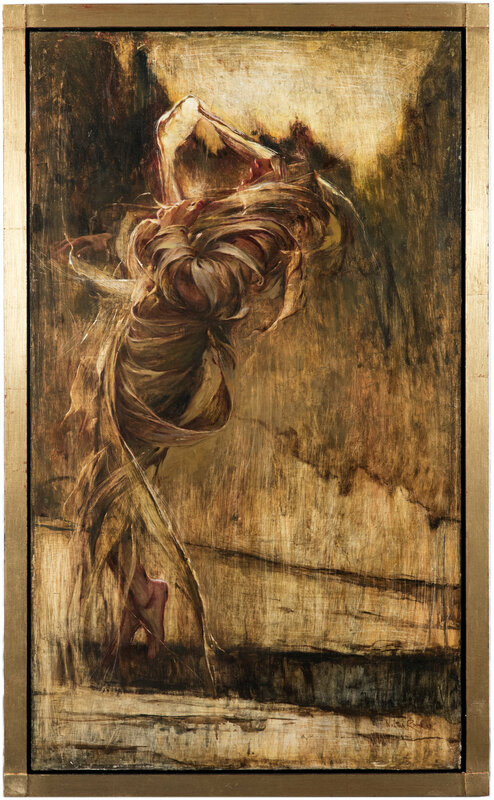 89 x 204 in.Collection of BYU Museum of Art. Surely He Hath Borne Our Griefs by J. Kirk Richards. Unto Us by Walter Rane. 35 x 35 in. Oil on Canvas. Autumnal Journey by Rose Datoc Dall. Oil on Canvas. Collection of Leslie Graff. Leslie Graff is much more than an artist, but her work has been featured at BYU, in Church exhibitions and in museums across the country. Her professional life reflects on child development, but her passion for art, especially for a work by her friend and artist Rose Datoc Dall. Breath of Life by Walter Rane. Oil on Canvas. 48 x 28 in. From the Zion Art Invitational. A special opportunity sit down, live podcast and Q&A with the renowned artist Walter Rane. 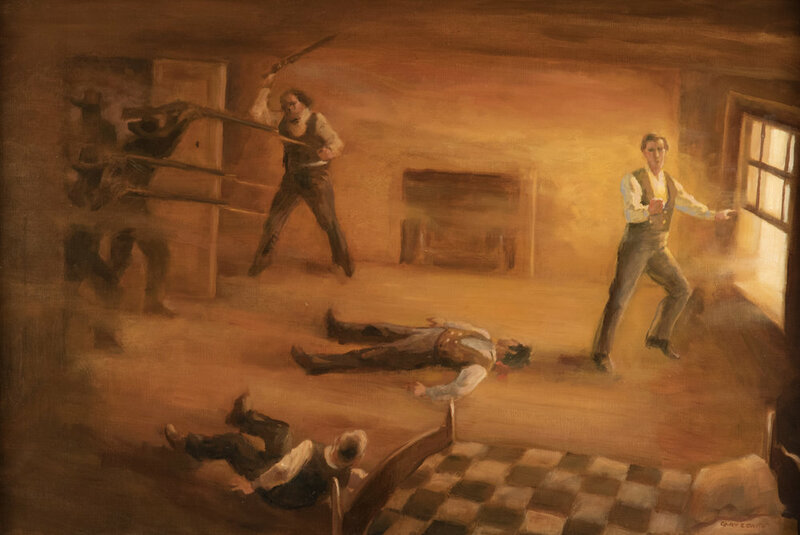 One of the most recognizable LDS artists of our day, Walter Rane has inspired countless artists and has dozens of works featured in Church collections. This was recorded at the Historic Immanuel Church in Salt Lake City on September 16, 2016 in front of a live audience. A discussion with Temple Architect Paul Monson and Temple Art Manager Arch Williams, who currently work designing LDS temples and commissioning art for their interiors. Paul & Arch will discuss the role of arts in the architectural designs and how creating contemplative continuity within temples is essential to each individual building.